All images were beautifully taken and tucked away in a photo album for me to enjoy in the years to come. Among those picture-perfect photos is one of me sprawled out on a bed in my wedding gown trying desperately to relax, so I could regain some energy from a previous night of anxiety-fueled insomnia. It’s one of the pictures I remember most from my wedding because it painted a very realistic image of what my body was experiencing at that moment. Like many people, I live with anxiety and it rendered me a hot mess on my wedding day. When people refer to your wedding day as the most “exciting” day of your life, what they don’t mention is it’s the most “anxious” day too. Besides happy and joyous, every emotion you can think will likely appear on your wedding day. The father of the bride losing his little girl will be sad. Perhaps anger and disappointment will be felt from guests if your bartender shows up late. It would be hard to imagine that anxiety would not make an appearance and be the uninvited guest at your wedding. After all, most weddings are the product of months of meticulous planning. Do you want a DJ, or a band? Which table clothes look better against the center pieces, the ivory or white ones? Naturally the anticipation is going to give way to some degree of anxiety. want to become a VIP reader? Sign up to get exclusive offers, mini ‘Anxious Bride’ articles, freebies and more! I’ll see you soon over in your inbox for all things One48 and The Anxious Bride! I wasn’t in the tea business when I got married in 2011. A few years later, when I left corporate America in search of new horizons, I found myself in a position to develop organic teas that not only tasted great, but some could also be therapeutic for women. I decided to focus on the life cycle of a woman: i.e., weddings, honeymoons, pregnancy, breastfeeding, menopause and even health conditions like cancer. Yes, even cancer was a catalyst for defining what I wanted to bring to the tea industry’s table. One of our best-selling tea offers immune support for anyone looking to receive the health benefits of medicinal mushrooms. I drink it when I have a cold, but initially, it was developed at the request of breast-cancer survivors looking for something to aid with their recovery efforts. To this day we continue to look to life’s events and a woman’s health issues to inspire our next great tea blends! It was my wedding day experience that inspired my two relaxing Bridal Teas, and shortly after, my two wine-infused Honeymoon Teas. Whether it’s something old, new, borrowed or blue, there are many gifts bestowed to a bride on her big day. My contribution to a bride-to-be is a cup of relaxing herbal tea! 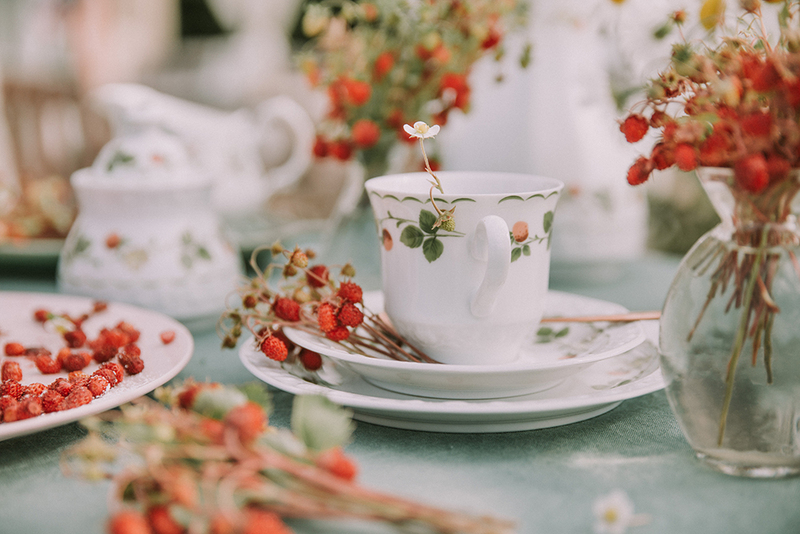 Composed of a blend of flowers and herbs known for their calming properties, these herbal teas can help the anxiety of any stressful day slip away, one sip at a time. Of course, if you’re a bride that finds herself lacking energy and needing a little caffeine boost, I would recommend our Honeymoon Teas. They are unique black teas infused with delicious organic wine, (non-alcoholic). Brewed hot or iced, our teas also make great distinctive additions to shower and reception menus. Check out our entire line of organic teas at teaforeve.com. My best advice to the anxious bride: Don’t Sweat It! You may feel like a hot mess as you prepare to walk down the aisle, but if you’re lucky like I was, you’ll notice all undesired anxiety quickly fades the moment you’re front and center holding the hands of the person you love. A moment well worth being anxious for!